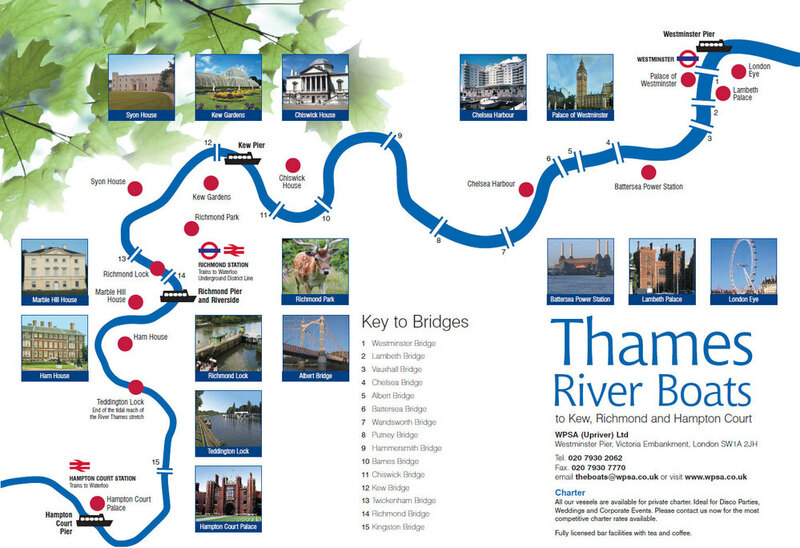 The Thames River Boats route map shows all of our departure locations, nearby train stations, bridges and also points of interest along the way. The route map is available to view online or download so that you can use it on your mobile device during your day out. The Cockney Sparrow was built in 1976 at Eel Pie Island. She is a two level boat with a deceptively large enclosed saloon and an open top deck. Princess Freda was built in 1926 by T.C. Letcher on the Isle of Wight, and has been restored to a particularly high standard. Copyright © 2019 Thames River Tours. All Rights Reserved.